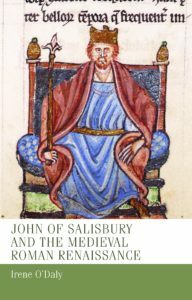 To be honest, John’s own writings were the catalyst for the project. It’s almost unique to have such a range of material from a single known medieval author – aside from a political manual, he wrote a book on education, countless letters which are fresh with detail about his life and travels, and he also wrote a mixture of poetry and prose. The writings were always the touchstone to which I would return when the research (or me!) needed a boost. Back in 2008, I travelled to Chartres in France, where John of Salisbury spent his final years as a bishop. A serendipitous encounter with the diocesan archivist lead to the opportunity to visit John’s tomb; he was reinterred from a nearby monastery to a chapel adjoining the famous gothic cathedral in the early twentieth century. I can’t deny that I felt a chill down my spine by his grave; it was a very special moment. As the book originated as a PhD, its growth kept pace with my changing interests over the subsequent years. 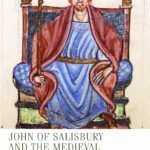 Notably, my interest in the materiality of the written culture of the Middle Ages grew as I worked on the book, and I began to think a lot more about the physical form of the works which John would have read. One of the most enjoyable experiences of my research was an afternoon spent in the Bodleian Library in Oxford in the late stages of working on the monograph when I finally got a chance to examine a manuscript alleged to have been owned by John, a twelfth-century copy of Lactantius’ Divine Institutes (MS Canon. Pat. Lat. 131). I am pleased that I was able to integrate some of my accrued knowledge about medieval manuscript studies into my monograph. Writing it against the backdrop of early career academic life. I moved country four times between finishing my PhD and the submission of the finished manuscript. With each move came new projects and new responsibilities which made it hard to maintain focus on the book. That said, I feel as though the book was improved by the years of effort it took, and that it reflects more mature thoughts on the subject than I would have been capable of as a graduate student. A mixture between excitement and nervousness. On the one hand it is great to finally have the ideas out there in published form, on the other, it is daunting to imagine what others, particularly scholars whose work I admire, might think about it. At the time I was working at the John Rylands Research Institute at the University of Manchester, and publishing with my ‘home press’ seemed like an obvious choice. I also knew that MUP had a strong tradition of producing high quality works on the medieval period. As it is my first book, I had no similar scale project to compare it to. I suspect, however, that the process of bringing this book to completion will inform future projects greatly. When putting together the index, for example, it struck me how valuable having a clear idea of the thematic structure of a book from the beginning is – that’s an insight I’m already putting into action as I plan my next book. I’m now working as a researcher at Huygens ING, Amsterdam – a history research institute in The Netherlands. I’m a member of a project carrying out research on annotations in medieval manuscripts, investigating what they tell us about techniques of reasoning in the medieval schools. I am particularly interested in annotations in diagrammatic form, and I’m writing a monograph about their presence in copies of rhetorical works associated with Cicero – so I’m carrying through the theme of the ‘Roman renaissance’ to my new work. 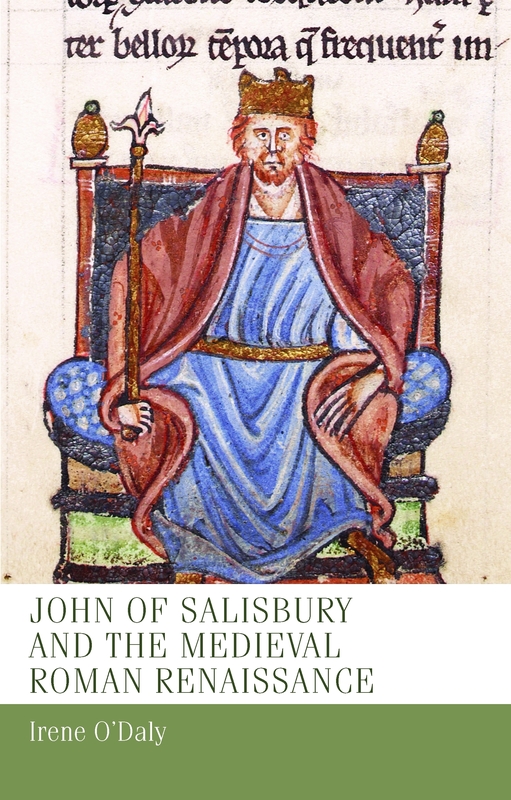 John of Salisbury and the medieval Roman renaissance publishes in February 2018. Category: Author Q&A, Blog, History, Medieval	0 Comments.